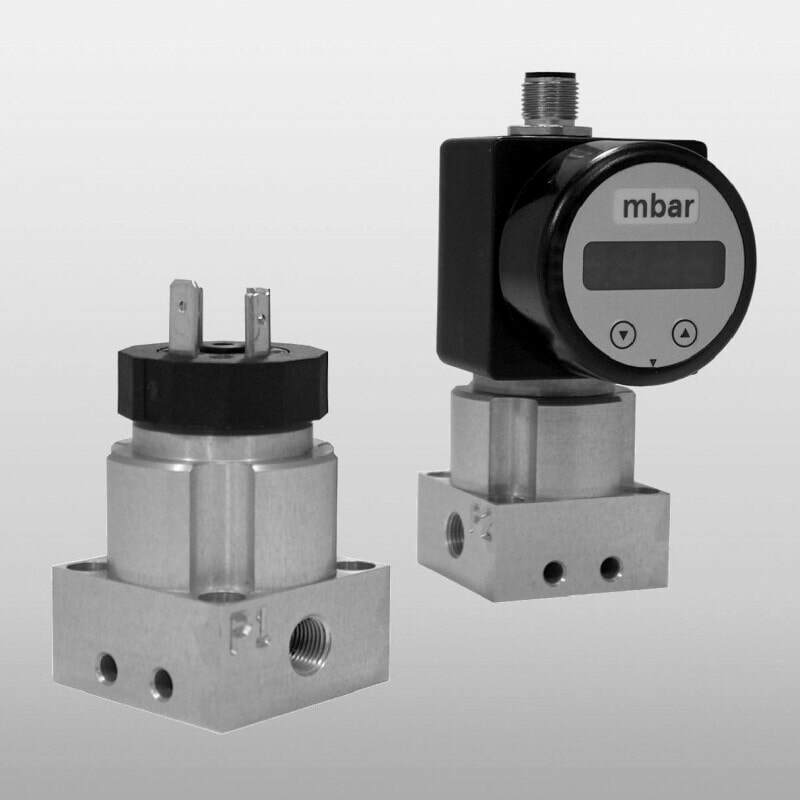 The DMD 341 is a low range differential pressure indicator for non-aggressive gases and compressed air. Because of its compact design and robust aluminium housing, it is particularly suited for machine and plant engineering. The basic element of the DMD 341 is a piezoresistive silicon pressure sensor, which features high accuracy and excellent long term stability. In combination with the display and switching unit ASM 430 the user stands by the 4-digit LED-display for representing the differential pressure as well as up to 2 freely configurable contacts. The DMD 341 offers high flexibility with regard to mounting as well as mechanical and electrical connection. The display rotates so that its position can be adapted to the installation position. The DMD341 is a low range differential pressure indicator, for gases and compressed air with a robust aluminium housing.